When you’re working on your household budget, you have to look at two types of items: ones you can cut and ones you can’t. Food is a necessity. We need it to survive, but that doesn’t mean there aren’t ways you can save money on food. In fact, it’s not that hard to do. My family is living proof! A few years back, I realized we were wasting money on food. We were eating out at restaurants more often than I care to admit and I rarely shopped with a list. Meal planning? What the heck was that? Back then, I didn’t have a clue. Since moving back to Ontario and living on one income, life has changed. But don’t worry – it’s for the better. Just because we aren’t spending as much on food does not mean we aren’t eating well. On the contrary! We are eating better than ever and our bottom line is finally at a healthy place. 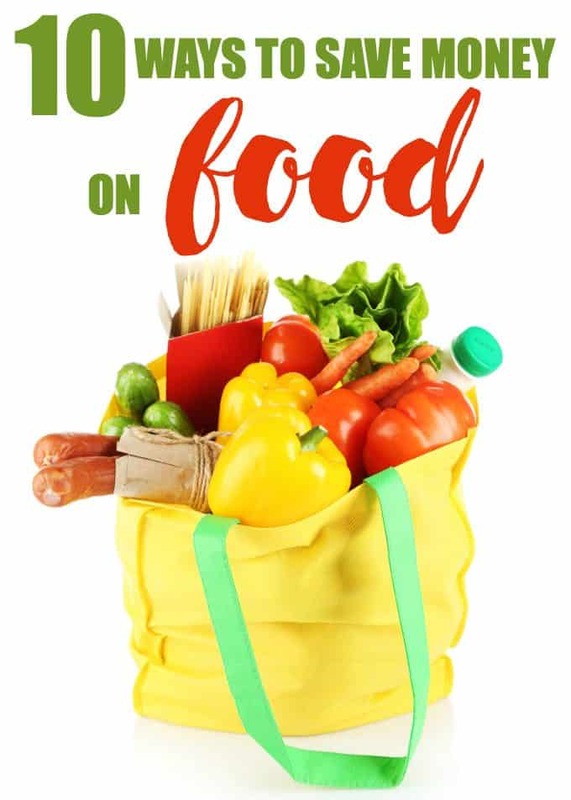 Today, I’m sharing 10 ways you can save money on food. You’ll see that it’s really quite simple to do. 1. Never shop without a list. Ever. If you forget your list at home, drive back and get it. I’ve made the mistake too many times of not bringing a list and it’s stressful. Not only do I forget what I came to buy, but I end up purchasing items we don’t need. Impulse shopping at its finest! 2. Keep your fridge and pantry organized. I know, it’s an extra chore, but you’ll see what I mean after you do it. This way, you’ll know what you already have on hand and can use up in your meals. You’ll also avoid buying too much of an item you don’t need and likely won’t use before its best before date. Chicken stock, I’m looking at you. 3. Shop at a store with everyday low prices and not just on sale items. Sale items are great, but I like to shop at stores like FreshCo that have low prices, every day. This means even when I’m swamped, I don’t have to waste energy worrying about paying more than needed while still getting the same high quality fresh produce. 4. Try meal planning. You’ll notice a HUGE savings when you do. It takes a little bit of effort to sit down and plan your meals for the week and then make your shopping list. However, the amount you save is so worth it. You can use up the items in your fridge and pantry so they don’t go to waste and plan your meals around what’s on sale that current week. It’s also a great chance for your family to try out new and exciting dishes! It keeps meal time fun. 5. Stop eating take out. The convenience factor is wonderful, but is it worth the expense? Once in a while is fine, but if you are eating out multiple times a week, it may be good to take a look at how much you could save by preparing meals at home. We were like this for years and I was amazed at how much money we saved when we stopped. 6. Price match. When you get you get your weekly flyers delivered, go through each one, even if it’s a store you don’t regularly shop at, and circle all the deals that catch your eye. Add the items to your list and bring the flyers with you when you go shopping. Shop at a store that offers price matching. FreshCo has a Cheaper Guarantee where they will beat the price of any competitor with their price match policy. 7. Stay away from prepackaged food. I love the convenience of prepackaged salads, pre-shredded cheese and pre-cut fruits and veggies, but I’ll save money if I take a few extra minutes to prepare it myself. 8. Stock up on sale items, but don’t be that person that clears the shelf. If you find a great sale on an item your family uses regularly AND that you’ll be able to use before it expires, then pick up a few extra to stockpile. I haven’t paid full price on quite a few household items in years because I shop the sales. 9. Use coupons and grocery apps. If you can combine these two with an item on sale, then even better! I keep my coupons in a little folder in my purse and move the ones I’m using to an envelope when I’m going shopping. Check your smartphone for any items featured in the grocery apps to see if you can snag a few savings there too. 10. Enjoy those leftovers. I used to turn my nose up at leftovers, but not anymore. I learned that sometimes food can taste even better the next day. I’ll often make extra just so I can have tomorrow’s meal ready to go. It’s great for those busy nights that you are running the kids around to all lessons and friend’s houses. What are some of the ways you save money on food? See how FreshCo can save you money with this week’s flyer! I have saved on using the store’s coupon site and loading it to my card. It is great to have coupons and the savings come off. I also buy marked down meat at Walmart. Tuesday is the day they mark the meat down at my Walmart and I buy tons of meat real cheap. I also make my own homemade meals for dinner and have leftovers to eat. Saves money by cooking at home. My favorite is definitely coupons and sales. I like stocking up whenever I see a deal. For us, the hardest part is giving up take out. I mean, I want to, but there are just so many times where I’m too tired to cook and can pick something up on the way home. It’s an everyday battle for us, but I tend to do better when I have a meal plan in place. Planning my meals for a week is something I don’t do enough of. We tend to eat out more than we eat in. I will have to check out those grocery apps too. I love these tips! I really need to get better about meal planning for our dinners, it really helps us to stay at home more and save money! I think one of the best ways to save is know exactly what you need for the week so you don’t overbuy. I have done both ways and I run out of money much quicker when I do not have a list. Totally agree with all of your tips! We also eat meatless meals a couple of times a week, and I do a lot of batch cooking to fill my freezer and make sure that there’s no reason to do takeout. It really makes a difference! These tips are amazing!! I especially love #1– yes to having a list when you go shopping otherwise it’s just a free for all! Definitely coupons and sales and everyday low prices saves me money,thanks for all the tips! Your number one reason you spend too much is my biggest downfall. I always forget my darn list! These tips are so awesome! I totally have to pin for later. My biggest thing is eating out…I know I could be saving so much if I didn’t eat out as much. I need to get on it! I think price matching is key in trying to save money on food. My husband and I are putting in extra efforts to cut our grocery bill – thanks for sharing this! Meal planning is a great way to save money. I always make a list before i go grocery shopping. These are great ways to save money. I always make sure I eat before I go grocery shopping. I find it easier to stick to my list if I am not hungry. I like to stock up when I see a sale. 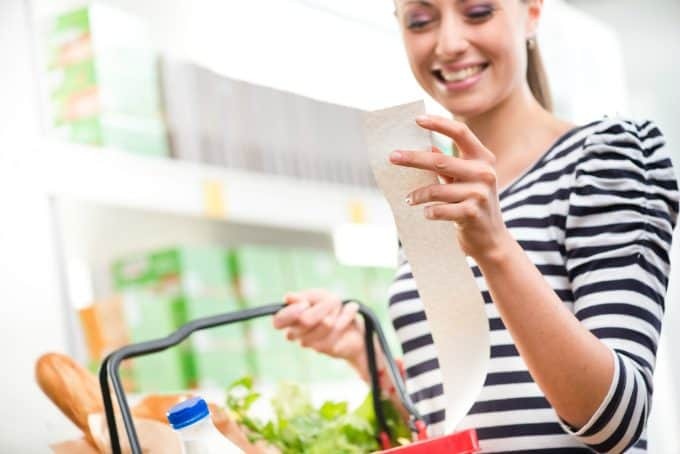 Coupons are a great way to save some extra cash on everyday needs. Thanks for the great tips. I will have to try meal planning. I always end up getting fast food when we are in a hurry. I do need to start meal planning and shopping around the edges of the stores. I’ve been neglecting price-matching too. We spend so much money on food with a large family. I totally agree with your tips. I need to meal plan more often, because we eat out way too much. It drives me crazy when I go shopping for something that I already have but it’s hiding behind a bigger jar in my pantry or fridge. I need to be more organized for sure. I do try to be good about taking a list though. It really does help with spending less. I use them all except meal planning but it does not work for us because we will not fl like having that I planned that day, sad but true. Also no one will eat leftovers except my husband, , and I actually give them to a guy who lives in a shop and has no way of cooking and can’t afford food so I don’t feel to bad, we are just to spoiled it’s sick, there was a time as a child I had no choice maybe thats why! Thanks for the tips they are great and true if you follow them! Great tips. We have a large family and I am always looking to save money. The food cost is crazy. I’ve been couponing and apping for years, my favorite store has super double coupons so that helps a lot, but I tend to get too much and end up throwing stuff away. I try and routinely clean out so I can at least donate or give them away though before they expire. Great tips Stacie! We try to find coupons all the time and we also have a points card that helps us earn free groceries when we purchase certain items. Thanks for the tips. I also find that shopping for fresh fruits and veggies on the day that I’m going to use them means less spoiled produce going in the organic bin. Not convenient for everyone I know, but it works for me!